An example tyre label is displayed on the right, and some of the labels may look familiar. The fuel efficency rating is calculated based on the tyre's rolling resistance to the road. 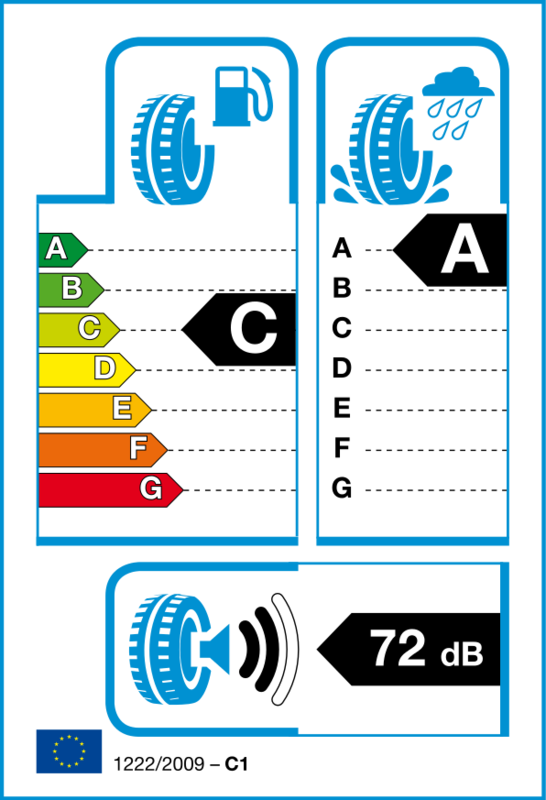 This rating shows tyres that perform well in the wet, and have a reduced stopping distance. Rated in decibels, with a corresponding scale of 3 sound levels. A single sound wave is the best rating. Total Motion is converting around 70% of its fleet to a Michelin Agilis CrossClimate tyre policy after predicting the tyres will deliver an 3,000 miles per set more than its existing summer/winter tyre policy.